Today’s drawing is one from my class. I was showing my students the power of simplicity. 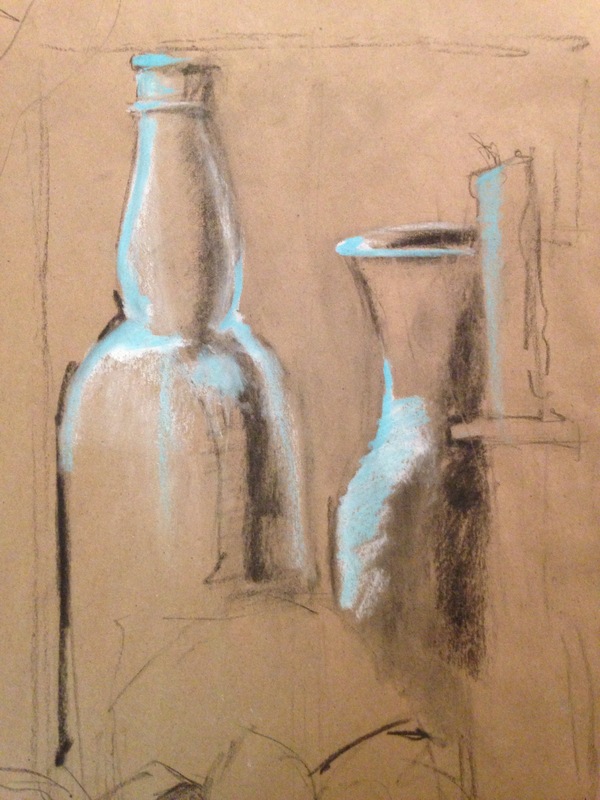 Using the brown paper as a middle tone I added shadow with charcoal and white & bright blue soft pastel to punch up the highlights.